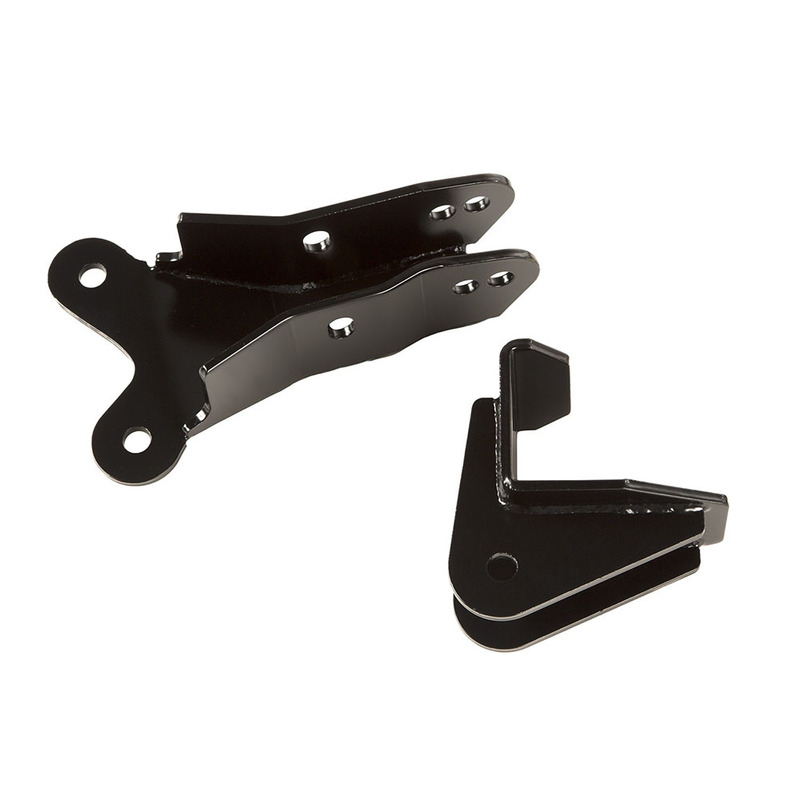 This frame brace kit with flipped drag link from Rugged Ridge fits 07-18 Jeep Wrangler JK. Fits: 2007, 2008, 2009, 2010, 2011, 2012, 2013, 2014, 2015, 2016, 2017, 2018 Wrangler JK Frame Brace Kit. The Rugged Ridge Frame Brace Kit with Flipped Drag Link is designed to resolve front end problems on lifted Wrangler JK models, particularly when lifts of 3-inches or more are installed. The frame brace kit relocates the track bar mounting points to help restore proper steering geometry, reducing front end movement and improving overall drivability. The Rugged Ridge Inverted Drag Link is designed to reposition the drag link above the steering knuckle to eliminate bumpsteer and increase crucial ground clearance. It may also eliminate the need for a drop pitman arm in some situations. NOTE: a 13/17-inch drill bit is required for installation.